Vespasian has been made Governor of Africa. Nero, Rome's increasingly unpredictable Emperor, orders him to journey with his most trusted men to a far-flung empire in Africa to free 200 Roman citizens who have been enslaved by a desert kingdom. Vespasian hopes to return to Rome a hero and find himself back in favor with Nero. But when he reaches the city, he discovers a slave population on the edge of revolt. It isn't long before tensions spill over into bloody chaos. Vespasian must escape the city with all 200 Roman citizens and make their way across a barren desert with a hoard of rebels at their backs. Meanwhile, back in Rome, Nero's extravagance goes unchecked. 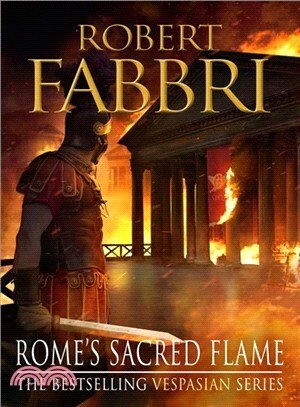 All of Rome's elite fear for their lives as Nero's closest allies run amok. Can anyone stop the Emperor before Rome devours itself? Robert Fabbri is an assistant director and has worked on productions such as Billy Elliot, Hellraiser, Hornblower, and Patriot Games.